Humor in literature depends on what people find funny. That sounds simplistic, but what tickles one person might not cause a twitch of the lip to another. Writing can feature many different forms of humor. Books can be belly-laugh funny, subtle, satirical, dry, ethnic, screwball farce, neurotic, slapstick, political, absurd, and probably a dozen more. Each style causes a different reaction to different readers. I’m going to feature a few humorists and some writers known for their wit. 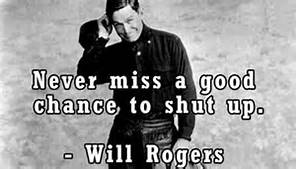 Humorist Will Rogers said some funny things about politics and politicians in his day, as I read them, I found them very current. Does that mean that things stay pretty much the same? Before Will and Dorothy, there was Mark Twain. One of my favorite satirists is Andy Borowitz. His quotes are political: they’re also so close to the truth that it’s hard to differentiate the satire. I’ll post a few of my favorites that aren't obviously political. "To mark Michael Phelps' amazing Olympic career, I think the USA should legalize marijuana." "If you buy your July 4 supplies at Walmart you can celebrate our independence from Britain and our dependence on China at the same time." Hitchiker’s Guide to the Galaxy, Catch 22, The Princess Bride, Good Omens, Me Talk Pretty One Day, A Confederacy of Dunces, The Importance of Being Earnest, Bridget Jones’s Diary, and One for the Money. And Elmore Leonard because of his quirky characters. I’ve read quite a few of the authors above, and some made me laugh out loud. 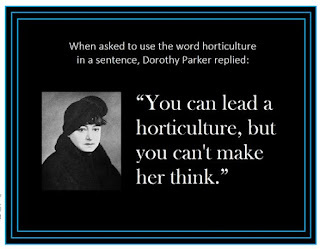 Though I’m a mystery, suspense, thriller reader, even those genres require a bit of levity for a break. It can be dialogue, characters, or scenario, but it should be there. Who are your favorite humorous authors? What books made you laugh out loud? Excellent selection, Polly. 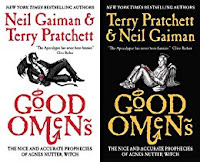 I'd add Douglas Adams as I always think of his books as well whenever Terry Pratchett's are mentioned. And Diana Wynne Jones, of course. Lately I've enjoyed the subtle humour of Derek Landy and Jonathan Stroud in the YA category. Actually, Elle, Douglas Adams came up in my research. I'm familiar with Pratchett but not with the others. I'm sure there are dozens of writers who would make me laugh. During these stressful times, I need to look them up. Thanks for a few more. Love this post, Polly! Humor lets us get by with saying a lot of things that might not go over nearly as well if spoken (or written) in a serious tone. I'm a bit of a Mark Twain fan; I also like Betty MacDonald, author of The Egg and I and The Plague and I.
Oh, I remember The Egg and I when it was a daily TV soap. That goes waaay back. Some familiar and unfamiliar examples here. Loved it! Yes, some were familiar to me. Really wish I could have put more Andy Borowitz on, but they were too political. 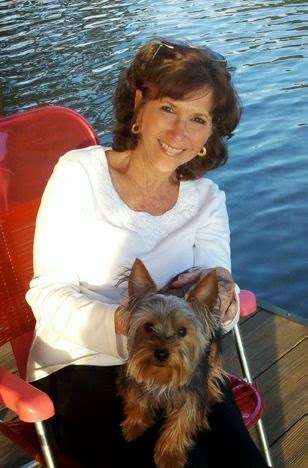 Janet Evanovich, Carl Hiaasen, Elmore Leonard are among my most favorite authors ever! 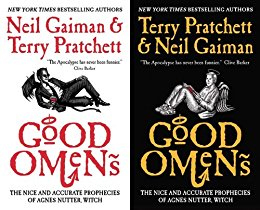 I've only read one Terry Prachett but found it quite clever and humorous. Ditto David Sedaris. I adore Elmore Leonard. Fast paced, wonderful characters, just quirky enough without being silly or unbelievable. I don't read much humor, but Peter Mayle's A Dog's Life made me laugh out loud, and A Confederacy of Dunces is one of my all time favorite reads. While I enjoy political humor and the humor inherent in real life situations, farce, crazy characters, screwball comedy, and slapstick aren't for me. I've never made it through a Janet Evanovich. I haven't read either of those books, but I have read and enjoyed Evanovich, until it got boringly repetitive. As I said, humor is individual. My husband loves the Marx Brothers and The Three Stooges, and he even laughed at the first Evanovich book but not enough to read book two. So many good books mentioned here, I am pretty sure I have read and loved them all! I would love to develop more humor in my writing. Speaking, I'm on it. Writing? Not as much as I would like. Humor is more difficult in writing than in person, especially if it's supposed to be funny. In person, much is impromptu and no one expects anything, so if you say something funny, it gets a laugh. If you try to be funny, that's when you might bomb. In writing, we have a chance to test it before it reaches the written page. It ain't easy. Oh! I'll keep the suggestions, thanks! I'm always on the lookout for witty authors. Recently, I laughed out loud reading Spanking Shakespeare (more of a high school boy humour, but still funny to me). Other than that... Etiquette & Espionage made me smile. Thank you for the suggestions. I'm not familiar with either of those you mentioned. Schoolboy humor does well in movies in the U.S., so you're not alone. Yup. Miss Jon Stewart, but Will Rogers made the same comment decades ago. Every one of his bits of truth ring true today. My daughter wrote a neat article "I Blame Jon Stewart." We all let him speak for us when maybe we should have been speaking out ourselves. Great book recommendations. Blessed are the comedians for they keep us sane.